Thomas Bach concluded that the aim of Agenda 2020 is to safeguard Olympism by fortifying its fundamental Olympic principles. The organization is to be held accountable to its fundamental Olympic Principles. The message was unmistakable. The fundamental keywords of Olympism were emphasized 209 times (Agenda 2020 Context and Background document). The 6th principle was particularly highlighted. The diversity in the 6th principle is not limited to gender. It rejects discrimination of any kind. This mirrors the 3rd principle that embraces diversity across five continents and the 2nd Principle that promote peace. The current winter programme is not diverse but concentrated on west European heritage sports. Not all are low-cost sports and few have scaled outside its core area. Bandy will introduce the winter sports heritage of the yellow ring that interlaces with the blue and red rings. Bandy will add significant diversity value aligned with the Principles 1-3 and 6. Bandy scores well on the Olympic Programme Commission’s nine chapters’ criteria list. In sum, there are 39 criteria. Many Olympic Disciplines have ongoing activity in districts in Europe but less so outside its core. Bandy grows and now covers three continents. Bandy popularity and diverse participation in both genders exceed most of the current Olympic Disciplines and all other non-Olympic candidates. Bandy just asks for two out of 109 events: women and men. Agenda 2020 concluded that event is the core unit for cost consideration. The current sports programme has 109 events in 15 Disciplines affiliated with 7 international federations (7 IFs). FIS has 50% of the events. FIS, ISU, and IBU have combined over 85 % of the events. The cost concentration on a few IFs is high. Bandy will add diversification value far beyond its two events. 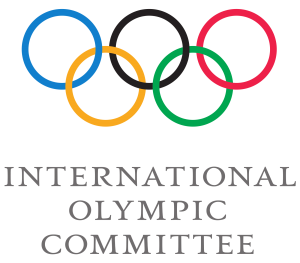 Including bandy in the Olympics is entirely aligned with the IOC reform efforts and will signal will of the IOC to fulfill Agenda 2020 and New Norms. Bandy is one the affordable winter sports, hence socially include and empower. Sport is about fair play. Bandy athletes, like all athletes, deserve fair play in the selection of sports. The conclusion: 134th IOC Session should welcome bandy.